Back in the old days of 2015, I discovered Amazon FBA and selling private label products on Amazon. Now I've been able to sell an Amazon FBA business. Up until that point, I never really understood how easy it was to get private label products manufactured in China, shipped to Amazon, and then sold and shipped via Amazon Prime. All of this happened while I didn't have to pack and ship a single item thanks to the Amazon warehouses and their fulfillment processes (FBA). I've written about how I started my Amazon FBA business extensively in the past. So, the primary focus of my article today is why and how I was able to sell an Amazon FBA business that was about 2 and a half years old. The sell of my business closed just last month with a price tag of $425,000. I want to share exactly how I did it. Out of respect to the new buyer, I won't be sharing what the products were or the URL of my website. However, my products were in the “Home Goods” niche. If you have a house, then one of these types of products is probably in your home. So, it's a consumer good. The idea came to my a few years ago as I was looking to replace something in my house and I could not find a variation that I was 100% satisfied with on Amazon.com. So, after hearing about the success that several people I knew (including Chris Guthrie, Scott Voelker, Greg Mercer, and others) were having, I decided this would be my chance to try out the Amazon FBA business. You can read about how to pick the right products to sell on Amazon here. What I found was a niche that had high demand (almost everyone has one of these in their home), and then a variation that helped me to stand out from the crowd (low competition for this particular variation). As a result, my first product started selling well almost from day one. You can see that in my first 30 days, I sold over $4,000 worth of goods. After a couple month, I decided to add more variations. By the time I sold the business last month, I had built up to 8 total SKUs in my niche. Not a lot of products, but enough to be quite profitable. 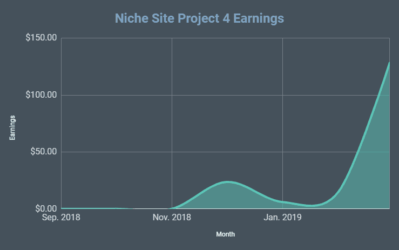 As I ran sponsored ads, grew my related niche site (more on that later), did promotional giveaways, and focused on selling on Amazon, the revenue quickly grew from $4,000 a month to over $60,000 a month in peak months. Of course, when you are selling physical products the profit margins are not as high as digital product or an affiliate website. 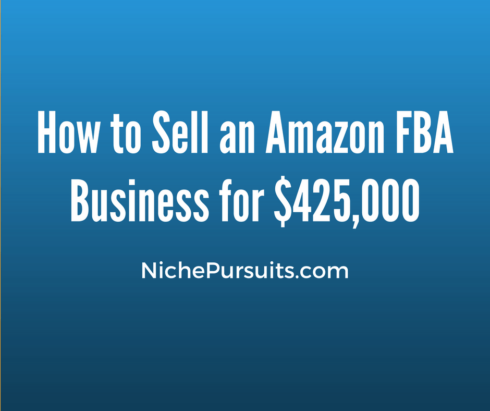 However, the trailing 12 months prior to the sell my Amazon FBA business was netting just over $14,000 a month on average. It was a great and profitable business! However, when I started to see the potential price tag for what I could sell the entire business for, I decided to pull the trigger. The result was a nice $425,000 pay day. What About the Niche Site? Shortly after creating my first product on Amazon, I launched a niche site in the same space. So, imagine I was selling a kitchen tool on Amazon. I hypothetically would have launched a niche site reviewing kitchen tools and “how to” tips for cooks (or something similar). 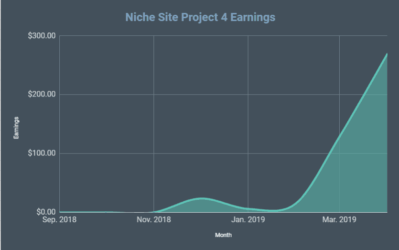 My niche site started to grow, and after 1 year it was making about $3,000 a month in affiliate commissions on it's own. The best part was that a good part of those affiliate commissions were coming from referring visitors to my own products on Amazon through my own Associates link. Yes, Amazon is fine with this. Because I had the experience of knowing how to build niche sites and rank quickly in Google, I was able to leverage this skill to grow my Amazon FBA business even faster by referring a bunch of outside traffic. Now, I should be clear that MOST of the sales of my products came directly from the traffic on Amazon. However, my niche site definitely sent traffic and was helpful in growing the business. Having this niche site along with the Amazon FBA piece was a nice selling point to potential buyers. It made the business slightly less risky, since the niche site was referring traffic as well outside of the Amazon ecosystem. I wrote a blog post previously outlining the pros and cons of selling a business. When I analyzed everything, I decided that the cash up front would be nice to have to re-invest in other business ventures that I'm more excited about. After running the business for almost 2 years, I had lost my interest level in those particular products a bit. I've always found that if I invest where I'm most passionate at the time, things tend to work out. This isn't some golden rule of thumb that everyone should follow, it just happens to work for me. I had been able to pocket $14,000 a month over the past couple of years and so losing that revenue stream was the biggest con. However, I always have 3 or 4 business ventures or projects going on at once, so I truly felt like having the capital to invest in these other ventures was a good reason to sell. I sold my Amazon FBA buiness on EmpireFlippers.com. Honestly, I was surprised how fast it sold. You can see the original Empire Flippers listing here. I had the expectation that it would take at least 3 to 4 months to find an interested buyer. However, after about 40 days, I already had a verbal agreement with a buyer after negotiating the deal. I was also very impressed with how professional the Empire Flippers process was. I know lots of people that have had positive experiences selling Adsense sites and other businesses to them. They were very helpful in getting my P&L cleaned up and gathering the other documentation necessary for potential buyers to look at. Within a couple of weeks, I had received several inquiries from potential buyers and did a call with a few of them. In a nutshell, I would definitely recommend Empire Flippers if you are looking to sell your Amazon FBA business. I've personally known Justin and Joe (the founders) over there since, well, before they started Empire Flippers. The business was listed at a sale price of $456,256. I knew going in that this list price was on the high end at a 32x monthly multiple. After a few calls with potential buyers, the king of deal makers gave me a call. His name is Ace Chapman. I had met Ace briefly once before at a conference, but we had never done any business together. Ace is someone that closes A LOT of deals on Empire Flippers, so I knew that if he was interested in my business, the chances were good that the deal would close. As a sidenote, I think Ace has a REALLY interesting business model. He buys tons of online businesses on his own or by bringing in partners. Then he basically allows the partners to run the business, or Ace has a team if he does a deal on his own run the business. You can read a bit more about Ace Chapman's story here. Ace and I did a couple of calls and just chatted a bit. Honestly, they were pretty casual calls with a little bit a business mixed in. He asked a few questions about numbers, the website, and the Amazon side of the business. Then a couple of days later, he made me an offer. Just like that. Yes, he offered me less than I was asking. I think his first offer was $400,000…or $56,000 less than I was asking. We settled on $425,000 and called it a day. The negotiation was more of a formality honestly. I knew I had listed the business a little high, and Ace knew his $400k offer was a little low. So, we settled in the middle where we were both happy. The final sale price was about a 30x monthly multiple of net earnings. We also negotiated payment terms and inventory payment separately (I got an additional payment for the inventory I had on hand on top of the $425k). 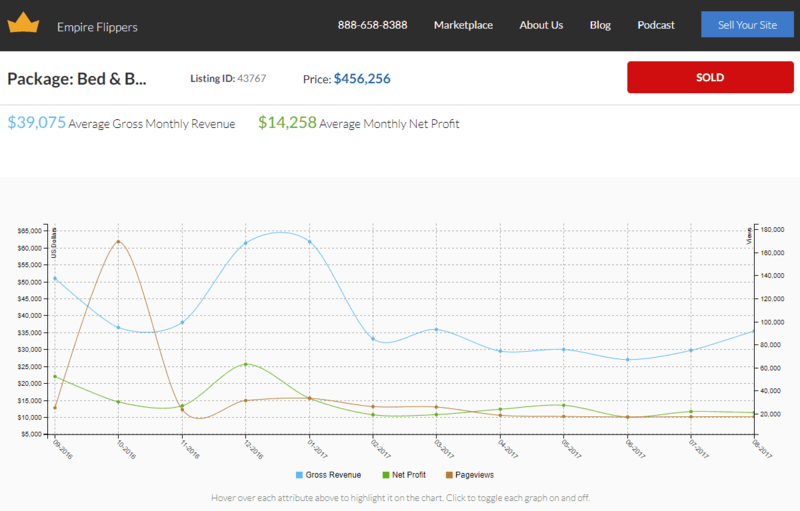 Then monthly payments based on % of profits until the rest is paid off. If the total isn't paid off after 2 years, there's a balloon payment to finish the deal. I'm confident the Amazon FBA business will continue performing well. Overall, I'm happy with the negotiated price and terms of the deal. If you are wondering how to transfer an Amazon FBA business…well, it's not easy. There are several hoops you have to jump through, but everything was done in compliance with Amazon. Before I listed the business for sale on Empire Flippers, I had done a bunch of prep work on my own. In addition to the 8 products for this brand, I also had another dozen or so products on the SAME Amazon account. I knew a potential buyer wouldn't want these other dozen unrelated products, so I had to figure out how to get the “Home goods” products on one account, and my other unrelated products on another account. Opened a new Amazon seller central account under a DIFFERENT legal business entity. Amazon only allows one amazon seller account per person or legal business. Since I had a separate legal business entity that didn't have a seller central account, I was just fine opening a brand new one. I then linked the email addresses in both the old and new seller central accounts; essentially notifying Amazon that there is some kind of relationship between these accounts. Sold out the inventory on the old account and then shipped new inventory to the new seller central account. If anything wasn't selling fast enough, I just did a removal order, then shipped those removed products into the new account. I did NOT have to create new listings or anything. You can just ship the goods into the new seller central account and use the exact same listing as before. This means all the reviews, star ratings, and everything are the same. When the new buyer had purchased, I just gave him the login to the new seller central account. There were definitely plenty of challenges that came up during the process of transferring the business. One of them was that Ace's new venture partner on this deal was a Canadian citizen and didn't have his business entity set up yet. So, we had to wait a few weeks for him to get a US business entity set up and bank accounts opened. Once that was completed, we sent a message to Amazon seller support letting them know that I had sold the business and that we needed to change the Tax ID, bank account information, and more on the backend of seller central. I felt like it was important to get this “approval” from Amazon first, before just changing bank account and other information. Amazon gave us the green light and then we just made all the changes to the new owner's information. We've had no issues whatsoever since changing the information and it's been a couple of months since that change took place. The other challenges were going through the process of transferring the website in addition to the eBay account and the Walmart.com account (the other places I also sold my products). The Empire Flippers support has gone out of their way to handle most of the transfer process themselves. The final step that they are still working on is getting the Amazon affiliate codes all changed from my affiliate id to the new buyers. So, I made the verbal deal with Ace sometime in mid-October. Then working with Ace's partner and Empire Flippers to get all the due diligence and then transfer process complete has taken from then until now (Jan 9th). So, it's been a 2 and a half month process to get things finalized. However, despite some of the challenges that are likely to occur with just about any business sale, I'm happy with the end result. Now that my first Amazon FBA has sold, what's next? Well, as mentioned, I've already got several other products selling on Amazon. In addition, with the new cash infusion, I plan to invest heavily in new Amazon products. In fact, we already have several in the works: either in production, design, or research phase. I'm hoping to build a revenue stream just as strong as the FBA business I just sold in the next 12 months. Even though some may think that it's too late and that the competition is too high on Amazon already, I see things a bit differently. I don't see Amazon getting any smaller as a platform anytime soon. More and more people are going to be buying more and more things on Amazon. I plan to be there ready to sell them those things. In addition, I've already launched my new software product, Table Labs. And of course, I'm hoping to buy a new website as shared in my last update here. So, I've got plenty of things “cooking” right now and so I'll continue to share the ups and downs in future updates. 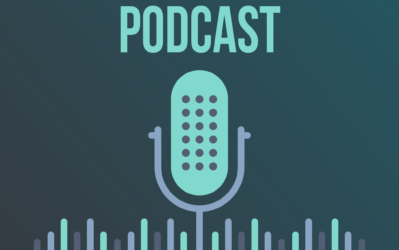 You can also check out Niche Pursuits Insider, where I share more tutorial videos on how to find ideas, build and rank niche websites, and more. Have questions? Leave a comment below and I'll do my best to answer. What percentage did Empire Flippers take in the deal? Congrats on your latest exit! 🙂 Just out of curiosity, were you rushing the deal for some reason, or just went soft because you liked the buyer? I don’t know all the details, so I could be wrong, but it seems like you could have gotten much more, especially if you include the 15% brokerage fee. Was the niche website that is sending the traffic included in the deal? Do you plan to continue making money with affiliate commissions on this product? Was the buyer not interested in the website, or you didn’t want to sell it? Or was this just a regular product website that was sending traffic to Amazon, and it was included in the deal? Hey Goran, great questions. No, I wasn’t rushing the sale. Getting 32x (my original list price) is basically unheard of for FBA businesses. So, I knew it was too high. I think the typical multiple is 25 to 28x. So, I actually got above market value at 30x. Yes, the niche site was included in the deal. Congratulations on the sale! I’ve been following your Amazon FBA updates since the beginning, partly because my wife and I were in the process of starting an FBA business right around the same time you started posting about it. We also sold our business in 2017. The interesting thing is our sales and profit numbers were very similar to yours, but you got a better selling price than we did. I completely agree with you that the niche site helps to offset the risk. 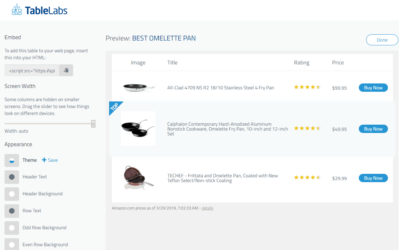 We were only selling on Amazon and our website was just a simple site that pointed people to the products on Amazon if someone happened to Google our brand name, but there was very little traffic to the site. We decided pretty early on that we were likely to sell the brand, so I didn’t want to invest a lot of time into building up website content and traffic. We had ours listed with a broker (not Empire Flippers) for 4 months but wound up selling it privately to someone I met in a Facebook group for Amazon sellers. The broker brought some interested potential buyers to us, but nothing panned out. We wound up taking less than the broker’s list price, but we had no broker fees and we did get 100% of the cash at the time of the sale. Best of luck to you with whatever website(s) you wind up buying. Congrats on your sale as well! That’s interesting to hear that you couldn’t find a good buyer through a brokerage. Sometimes that happens. I feel lucky that I was able to find a great buyer so quickly. Only about 40% up front? Wow, it sounds like an amazing deal for the buyer, although I don’t know how those mid six-figure deals are usually structured. Yep, it was a great deal for the buyer. But like I said, I know he’s good for the money. So, it was also a great deal for me. In 5 months, I’ll have most of the money, so it’s not too big a deal for me. Did you sell the niche site to the buyer as part of the package, or do you still own? I sold it as a package. This is really a great article.Thanks for sharing with us. Could you tell, about payment in installments, you agreed with the buyer in person or is this an Empire Flippers transaction condition? It’s with Empire Flippers. They act as an intermediary to hold/verify funds, etc. Hello Spencer, It’s great to see you sold your business. What I think is that you should have expanded it by doing more research into your categories. Certainly it’s a one time payment that you are getting. You can do it again but you have to start all over again and create new brands. You should have given it a little more time. It’s my personal opinion. Congrats Spencer, very happy for you. So are you going to do this all over again? Are you getting straight back into Amazon FBA? Yes. Its not really like I”m “starting over” though. Yes, I launched this brand back in 2015. But by early 2016 I had launched other brands as well. So, I sold the above mentioned brand, but I still have other brands already selling on amazon that I will continue to grow. Unfortunately, I don’t have access to FBA in the E.European country I live But I still took action 2 years ago and started a store. I fulfil the orders myself and it has been a providing a full-time steady income for the last year and a half from a handful of (less than 6) products. Sometimes I dream about having an FBA business and how much more success I could have had if amazon fulfilled my products. I’m lucky to have the post office 5 minutes walk from home so I can get a bit of fresh air and exercise. Keep up the good work Spencer. Hey Rob, I see no reason why you can’t do FBA with Amazon. It doesn’t matter where you live. Tons of people in Europe and China are FBA sellers on Amazon US. This was very insightful Spencer–thanks for sharing it with us. 1) How is it set up so that Ace will, without a shadow of a doubt, pay you on the scheduled dates he’s expected to pay you? Is it just the honor system, or do you all have some sort of system in place that will (for lack of a better word) “force” him to pay you when he’s supposed to pay you? 2) If you receive the money in multiple payments over a few months rather than a one-time lump sum payment, how does Empire Flippers ensure that the seller gets all of the money owed to him/her for the sale? What’s stopping the buyer from making the first payment, receiving access to your site, and never paying you the remainder of the money he owes? 3) Can you discuss the actual process of how transferring your website to the new buyer works? For example, let’s say your Amazon niche site was a WordPress site. 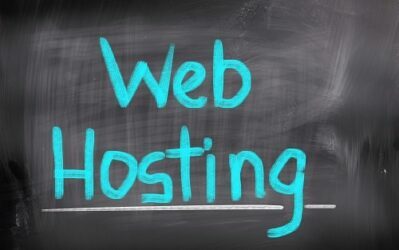 Is it just a matter of giving the buyer of your website your WordPress username and password–or is he actually migrating your site from whatever hosting provider you have to his own hosting provider, as well? 1. Empire Flippers acts as an escrow/intermediary. So, they collect and disperse the funds. 2. Empire Flippers actually still holds the domain etc until ALL final payments are made. So, Ace doesn’t have full owernship over the site technically until I receive my last payment. 3. For this particular sale, I turned over the hosting account: so I just provided hosting logins and wordpress logins. If you need to migrate a site, the Empire Flippers handle it. Do you need to provide any ongoing support for a limited time after the sale? And does that mean Ace also has your manufacturing contacts or is it now up to him to source and manufacture the same product? Will be interesting to see whether you dabble in FBA again. Thanks! Yes, I agreed to help with the transition for a couple of months. And even if its six months down the road and they have a couple questions, I can still help. But the new team is up and running and I honestly don’t hear from them hardly at all. And yes, Ace has the manufacturing contacts, so its up to him to source products now. Great article! Thank you Spencer! “I then linked the email addresses in both the old and new seller central accounts; essentially notifying Amazon that there is some kind of relationship between these accounts.” How do you link the email address? Could you give us some details about the tax situation when you sold your business. And can you operate nichesites from offshore countries and same some money on taxes? The standard us tax laws apply when selling an asset in the US as for website assets. I don’t operate anything offshore. Hi, I’m curious if your plans for the future products are going to continue being unique/ dreamt-up kind of items? Or are you going to do the old fashioned see-the-best-sellers-list approach? Thanks for the case study Spencer! Ace bought one of my sites through Empire Flippers a few years back. I would highly recommend them both. It was a great experience, however I still have seller’s remorse from time to time. Best of luck on your other ventures! Yep, Ace and the Empire Flippers were both great. You talk so much about marketing but you can’t share the real details like product or URL? I’m from a marketing background and this level of confidentiality makes no sense as YOU ARE IN SALES! it’s all about product, price, and promotion. Lots of stories on the web.